Norway has been ranked the best country in the world when it comes to the training and education of its population. 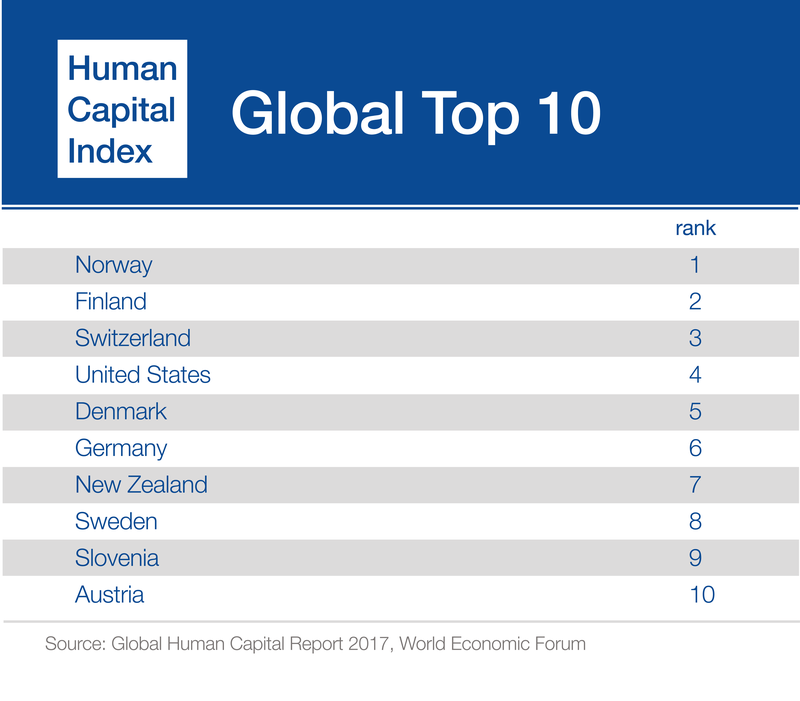 According to the newly released Human Capital Report 2017, Norway is the best country in the world in educating its populationn nemely investing in human capital. Northern European countries lead the way when it comes to making the most of the skills of their people, and giving them the best educational opportunities, according to World Economic Forum. Norway is followed by Finland and Switzerland. Two other Nordic nations, Denmark and Sweden takes the fifth and eight place in the list. The Human Capital Index ranks 130 countries on how well they are developing their human capital on a scale from 0 (worst) to 100 (best) across four sub-indexes – capacity, deployment, development and know-how. Norway performs well on all the sub-indexes, ranking first in the world for the availability of skilled employees. It also does well on the Deployment pillar (the active participation of the population in the country’s workforce) thanks to its low unemployment rate. The top three countries are are unique in the Index in having passed the threshold of developing more than 75% of their human capital. However, the report warns that countries could do more to nurture and fully develop their populations’ skills. On average, only 62% of global talent is being fully utilized.